This is such a great find! 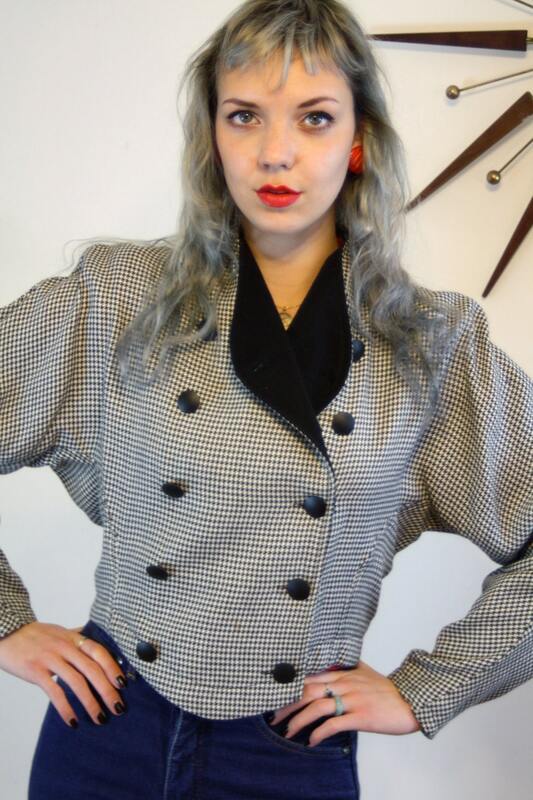 This asymmetrical houndstooth cropped blazer is by Ronnie Rosado . It has an amazing fit and cut! 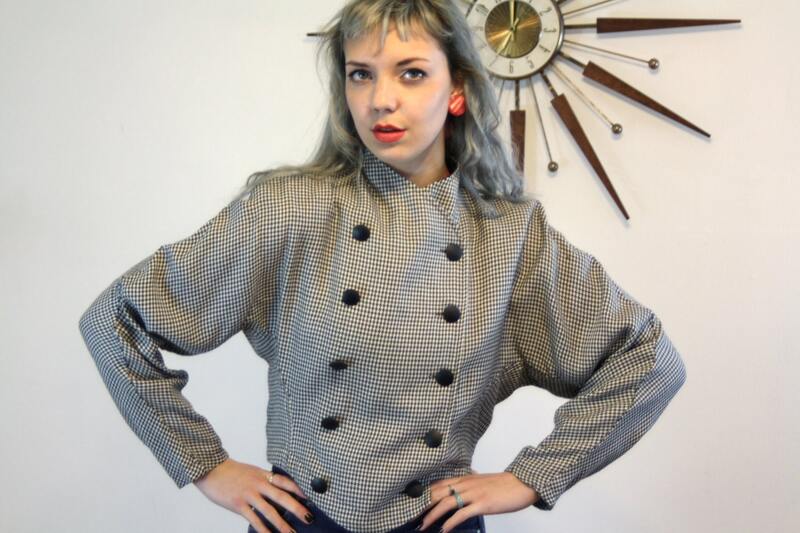 So totally 80s with huge shoulder pads and batwing sleeves. 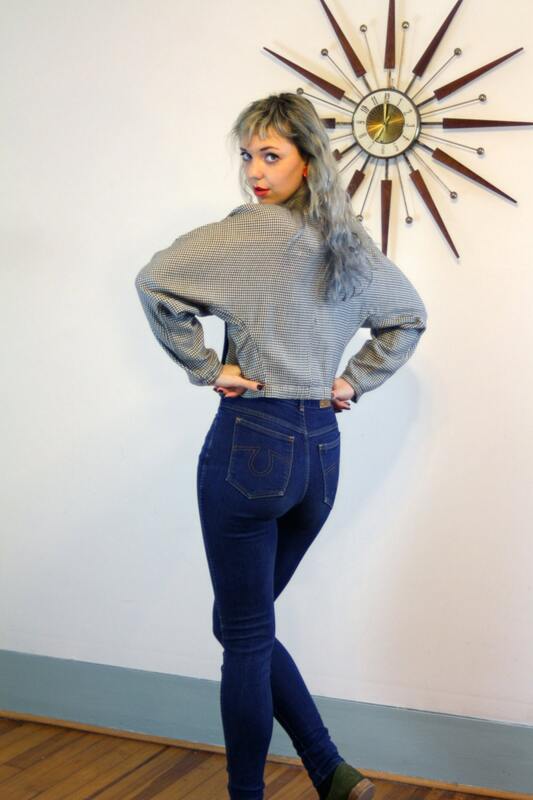 I am so in love with this jacket! 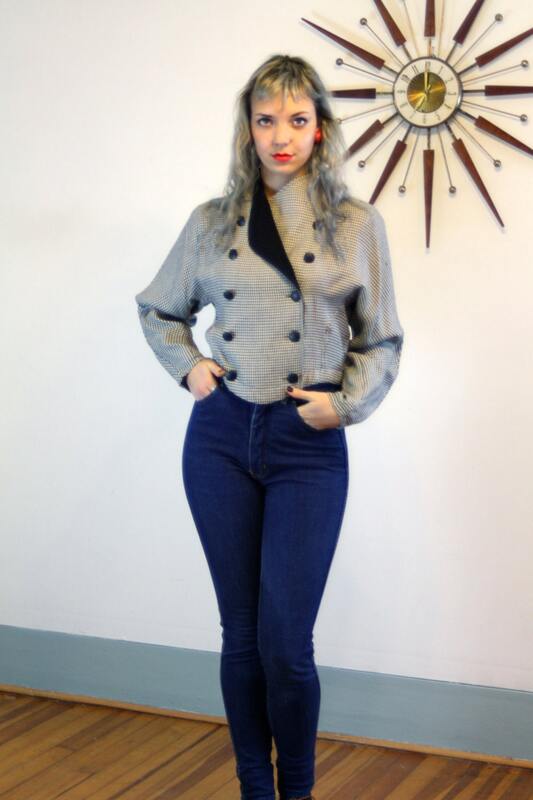 Imagine all the complements and conversations you will have wearing this coat! And you will know you are the only one on earth who owns this special jacket! To have a one of a kind piece! That is the magic of Vintage! 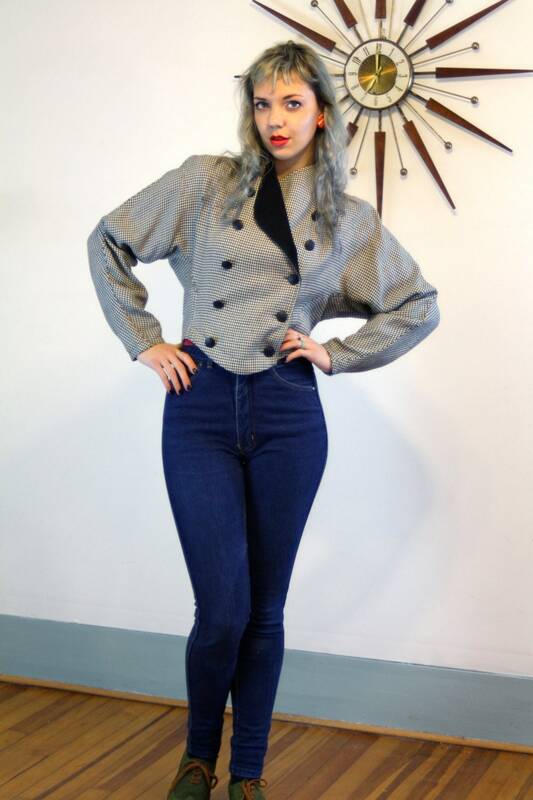 Model's Measurements: bust:34", waist:26", hips:38", height:5'9"
This jacket is very well made and in Excellent condition!